I did pretty well for the most part. I know that it only takes a few months to create a habit, and I did not want the habit of sweet-eating formed during pregnancy to affect me afterward. So I limited myself to 2 sweets a day (one at work and one at home) and for the most part that helped. But sometimes, sometimes two just wasn’t enough. And if I broke my own limit rule, I felt awful. Awful about my choice, my lack of willpower, and a hormonal funk just sort of settled in. Until these brownies. Inspired by the Amazing Chocolate Covered Katie‘s recipe for Black Bean brownies, I decided to try my hand at it. I’d avoided them for a long time because a) I hate beans in almost anything, so figured I would hate this and b) ew, brownies don’t have beans. But then someone reminded me that some cultures have been using beans in desserts for thousands of years. That coupled with my implicit trust of Katie and the comments on her recipe made me give it a shot. The next thing I knew I’d tweaked the recipe to my liking and then invented a way to get the crackly crust that traditional brownies have and bean brownies don’t. This is the result of those efforts! 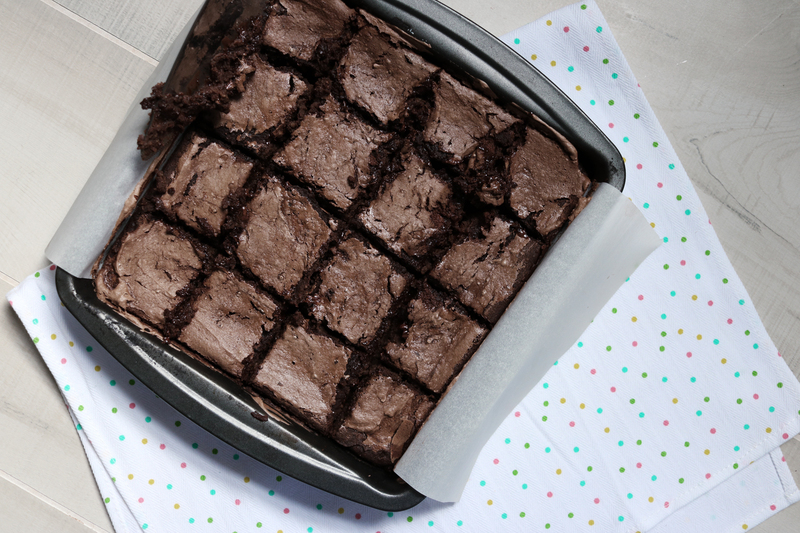 Another cool thing about this recipe, is that if you use gluten free oats (oats are naturally gluten free, but you can’t always trust they haven’t been cross contaminated) then these are gluten free brownies! 2/3 cup Honey, Maple syrup, agave, or even just sugar. (I limited refined sugars by using honey). 2 tbs cocoa powderThis mix gets finely spread on, so I don’t consider it to add anything much to the recipe in terms of sugar, etc. But obviously if you are trying to keep vegan or refined sugar free, you can skip the topping and live with the normal appearance. 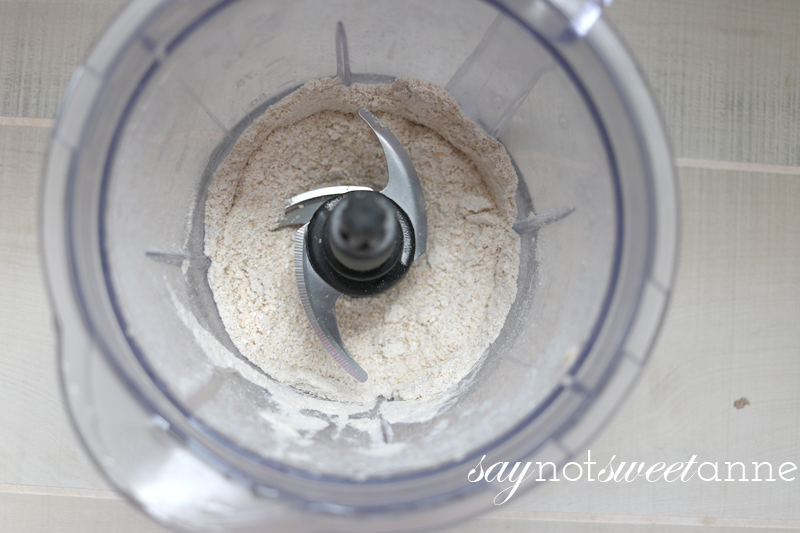 In a good food processor, make the oats into a fine flour like powder. The finer, the better. Set aside. Add your beans, honey, oil and vanilla to the empty food processor and blend until the means have a fine, smooth batter like texture. Add the cocoa, salt, baking powder and instant coffee to the beans. 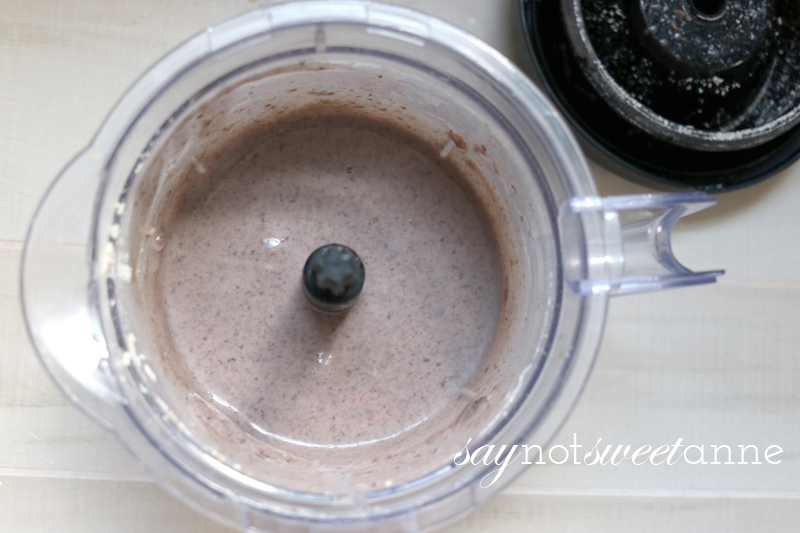 Blend until mixed well. Pour bean mixture into a large bowl. 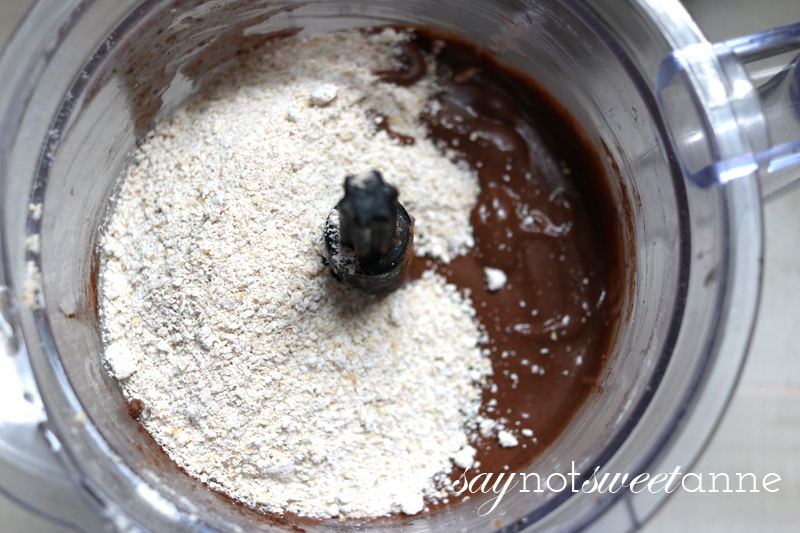 Add the oatmeal and the chocolate chips. The batter should start to thicken as the oatmeal absorbs the moisture. Spread into your pan evenly. 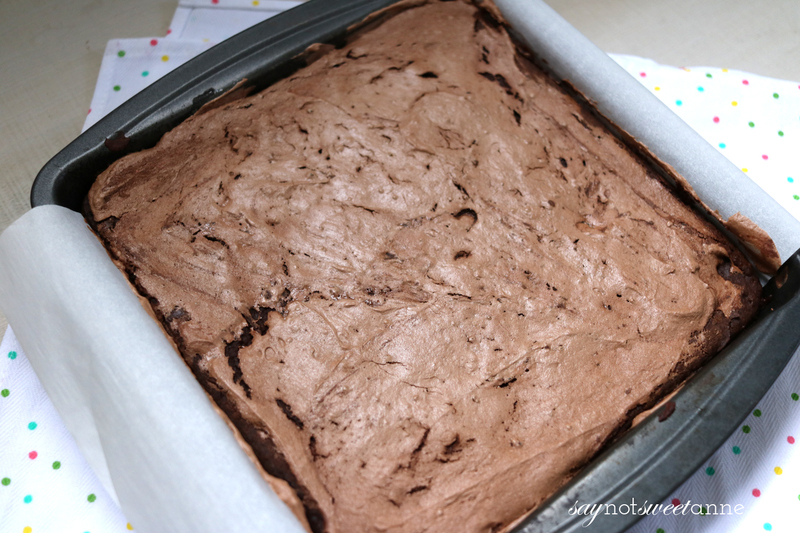 For the crinkly crust, it turns out the in regular brownies, that is created from whipping the eggs and the sugar dissolving. So, I made a very simple sort of meringue topping that I spread on top of the brownies. 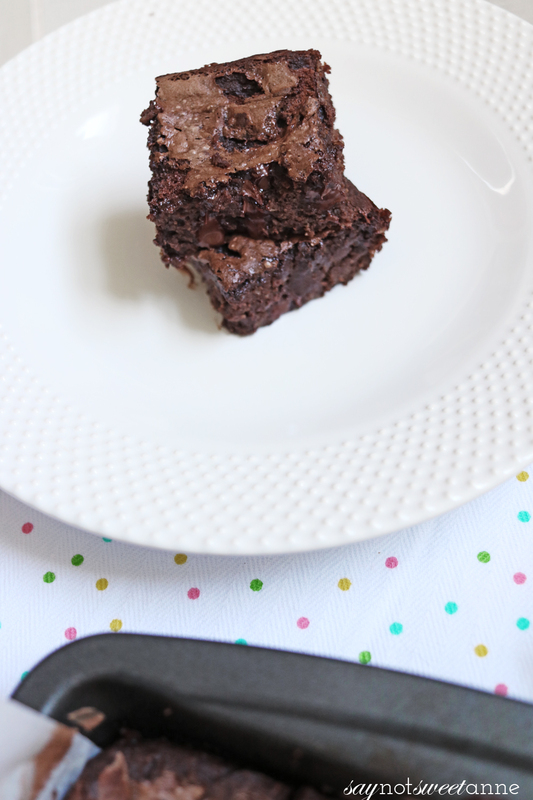 The result was a crispy and crinkly crust that mimicked that of a “normal” brownie. It did soften the next day, but still looked great. Whip the egg white, until it is light and foamy. Slowly add your sugar while whipping. 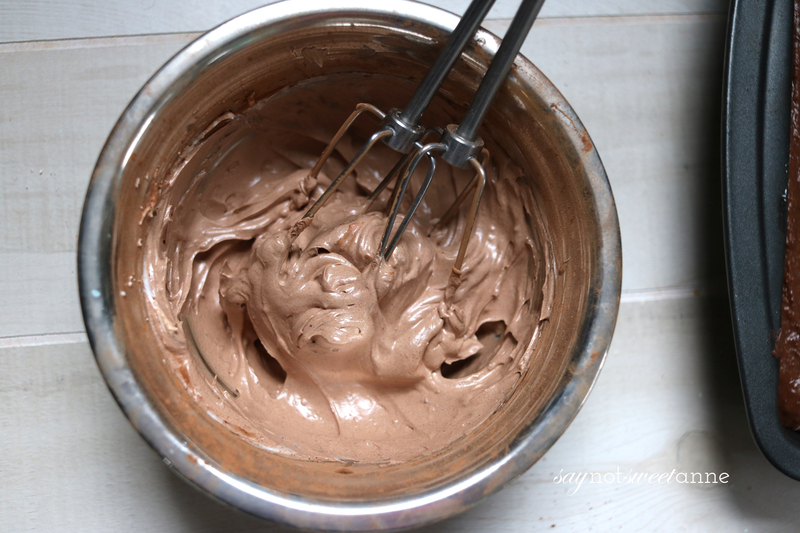 Whip until you reach stiff peaks and then add in your cocoa powder. 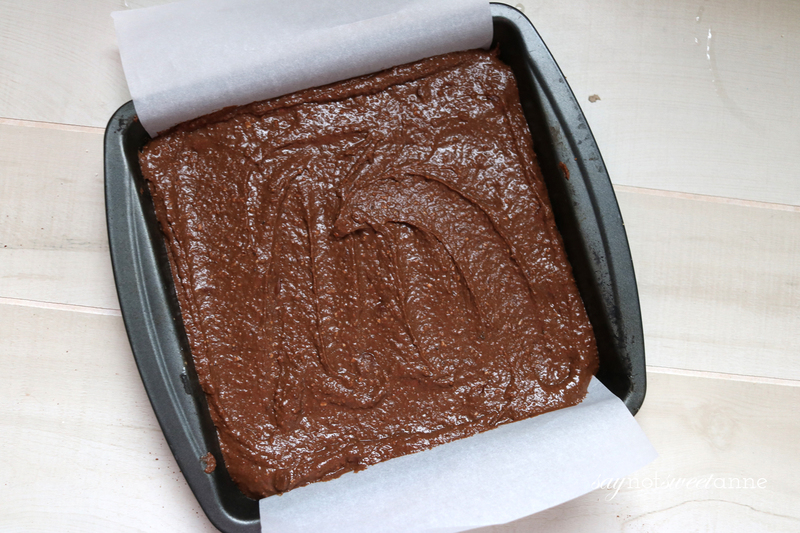 Spread the mixture thinly onto the top of your uncooked brownies. Bake at 350° for 20-25 minutes. Time will depend on the size of your pan and the thickness of the mixture. 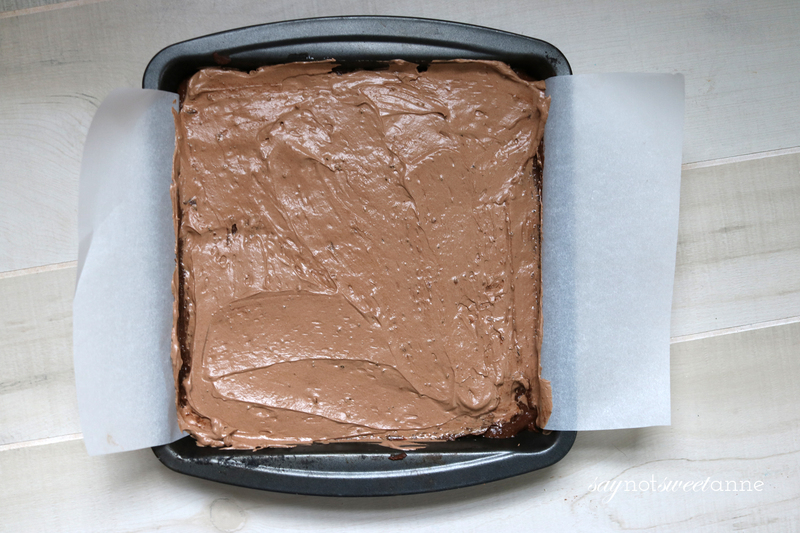 Remove from oven and let cool completely before cutting into the brownies. That’s it! 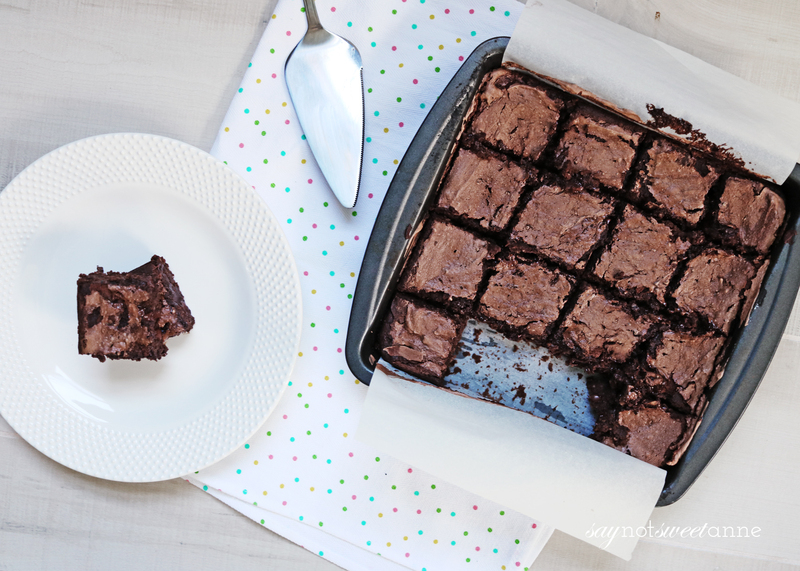 I’ve found that the flavor improves a bit after a night in the fridge, and the brownies are best eaten at room temp. I haven’t had a pan last longer than a week, so I couldn’t tell you the keep time!